Kool K9 has group classes for puppies and dogs. 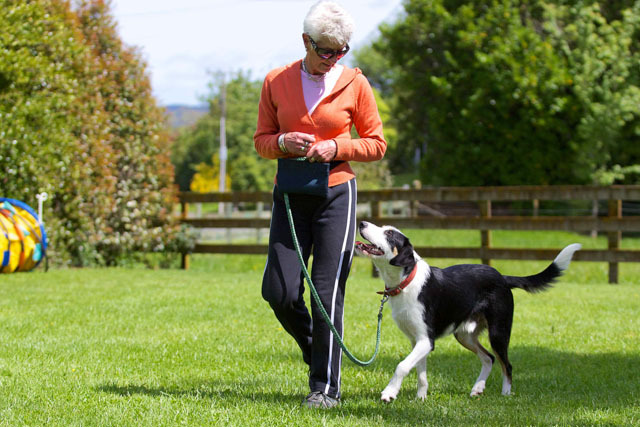 This basic-level class begins focusing on simple tasks like getting your dog to listen, walk with you and come when called. Basic behaviour is covered – stop your dog jumping up, get it to leave items on the ground and give you back toys and balls. 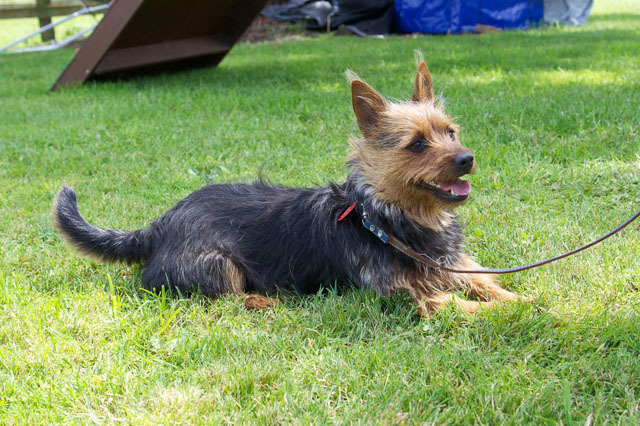 By the end of the class your dog will have the standard skills – sit, down, stay – and we’ll even teach it a fun trick to show off! Puppies must be at least 3 months old (preferably 4 months) and to have finished their puppy vaccinations to attend this class. Classes run for six weeks and there is a maximum of six dogs per class. This class follows on from the skills you and your dog learnt in Level 1. The class has more focus on playing games, so your dog will learn to sit, stay, come, or go to its mat even in a more exciting environment. 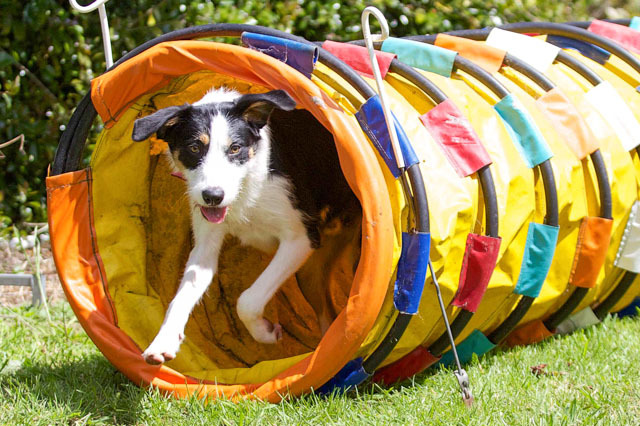 Make use of your dog’s nose to search for hidden objects, and try out different activities like walking the plank and going through a tunnel. More behaviour work – no jumping on strangers, wait at the door and some distance control. For the final lesson we visit a dog park to practice your skills in a “real life” setting. Classes are a great way to socialise your dog and let it learn in a high-energy environment, but all of these skills can also be taught in one-on-one lessons in your own time. I offer a range of services tailored to you and your dog’s needs. Price: $180 for the initial session, and $80 for follow up sessions. Travel fees may apply outside the Hamilton area. One-on-one lessons are booked by phone or email.